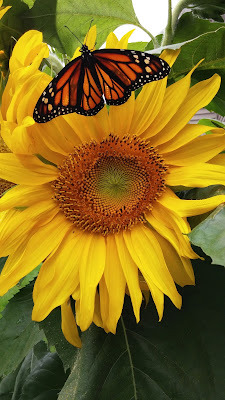 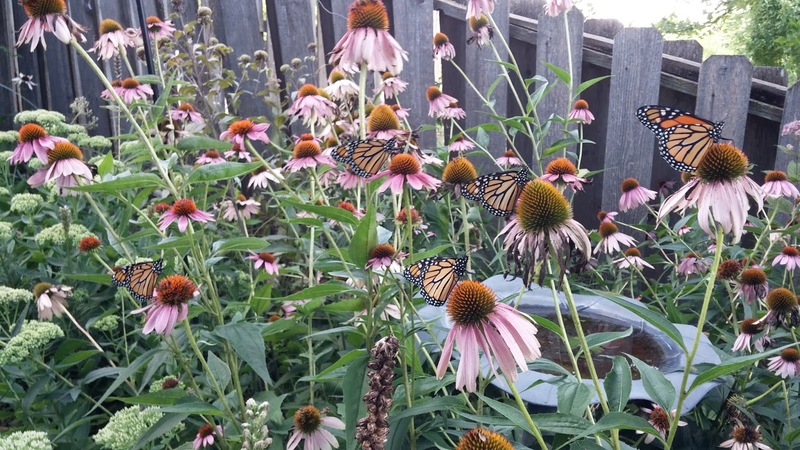 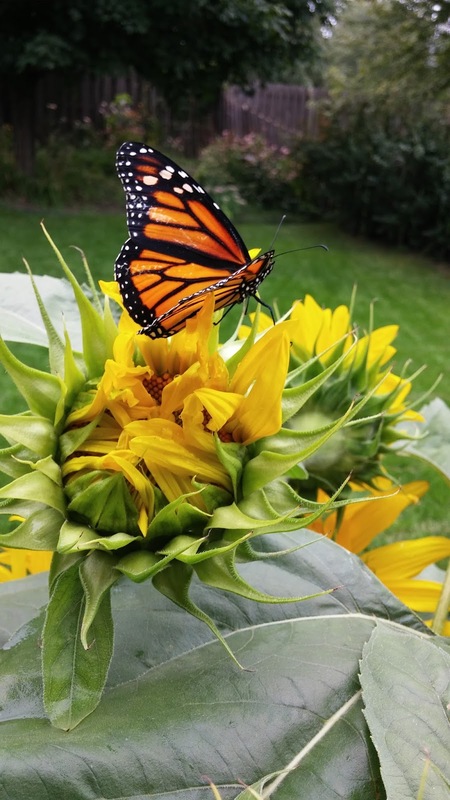 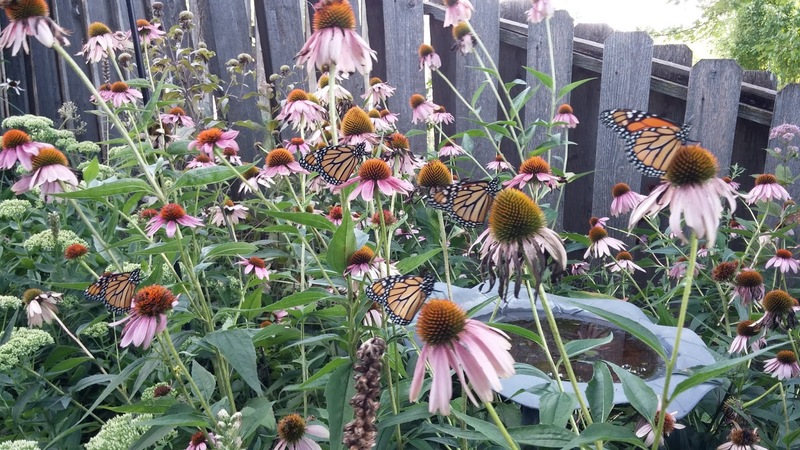 It was another fun year here at Gust Gardens, doing some butterfly gardening right in our own back yard! 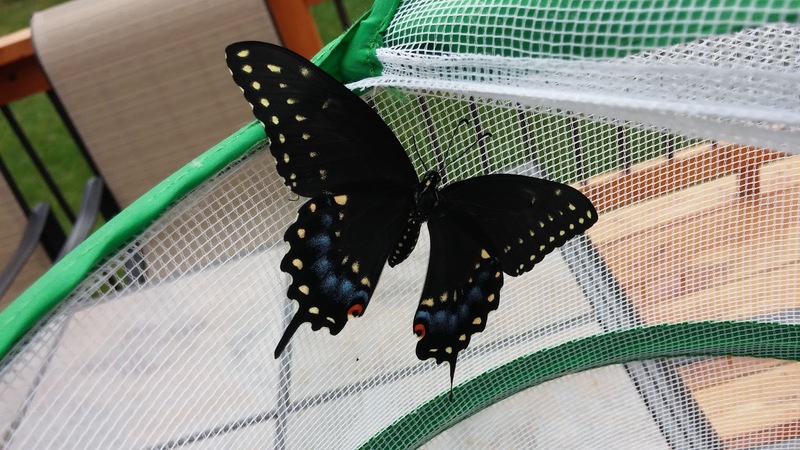 This year, we raised Swallowtails for the first time ever! Well, except that one time when we raised just one! Aren't they just so beautiful! We had Monarchs coming out of everywhere! 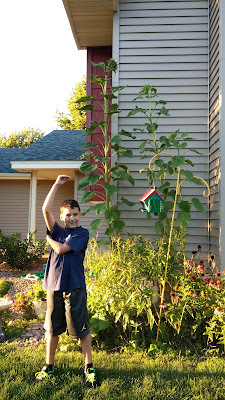 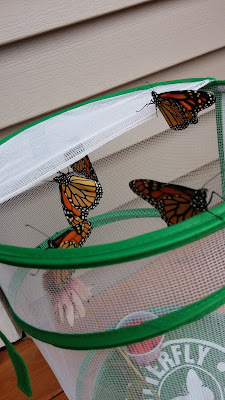 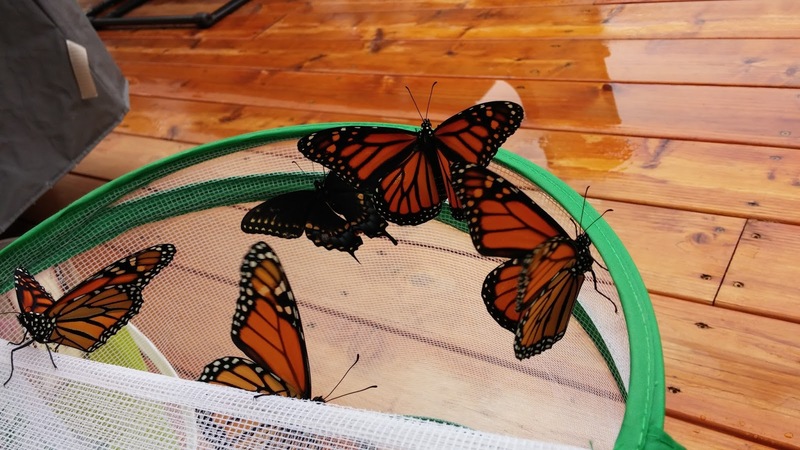 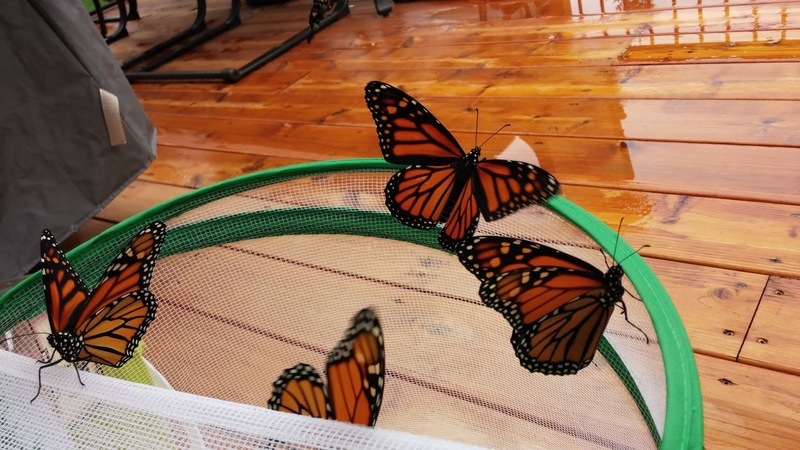 We didn't keep official count of raising Monarchs - but it was well over 300! 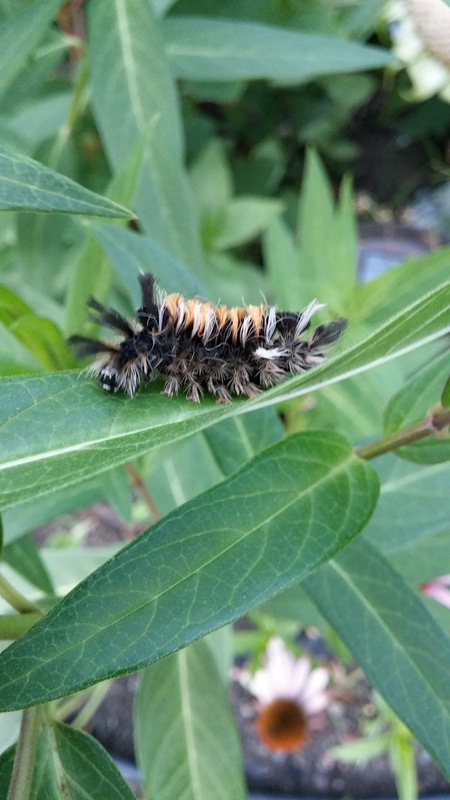 I know this, because we would get 40+ eggs at a time, from the swamp milkweed leaves in our gardens. Next year, we'll keep track! 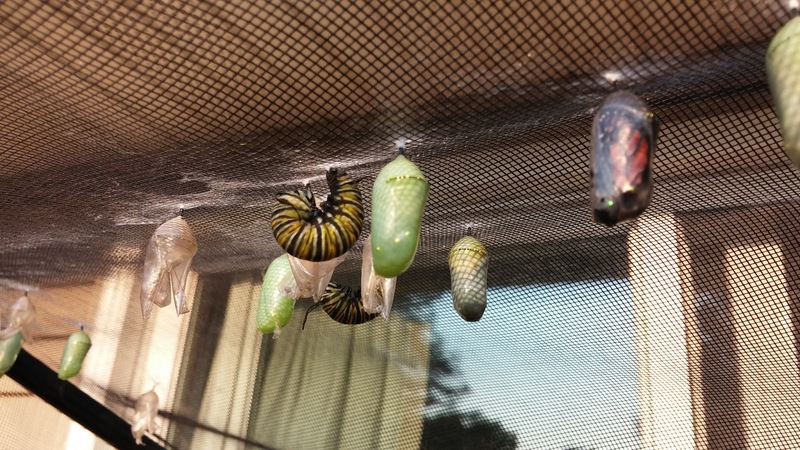 There is also something so pretty and cool about the transformation process too! 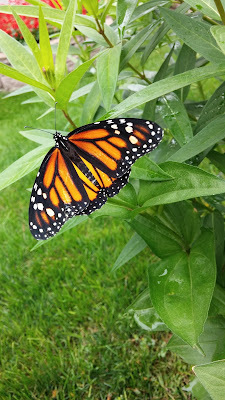 Here is a monarch mid-spin, creating her chrysalis! There are five on the coneflowers below, in one of our corners of our yard. I cannot tell you how happy it makes me, when we show up at the ballfield and I spot lone milkweed plants along the fence, clearly left in tact by the lawn service! 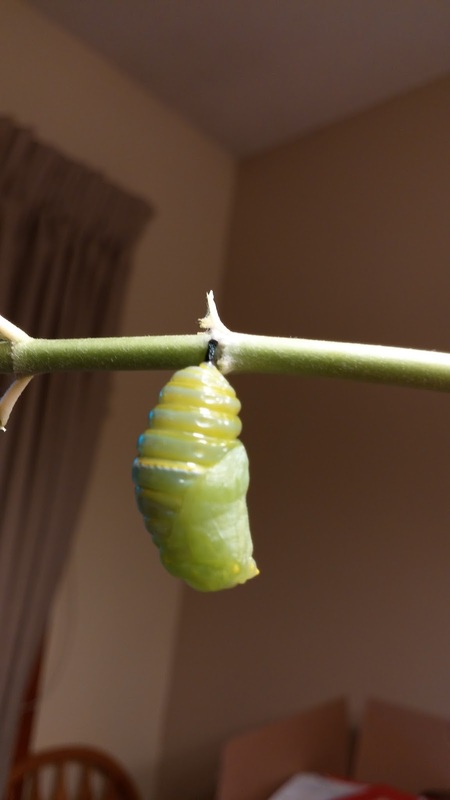 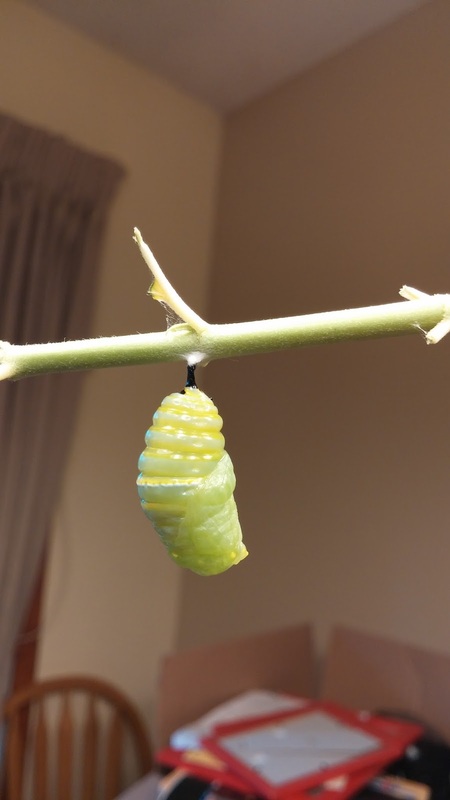 At any given time, we had caterpillars, freshly made chrysalis, and Monarch butterfly fellas in chrysalis ready to emerge! 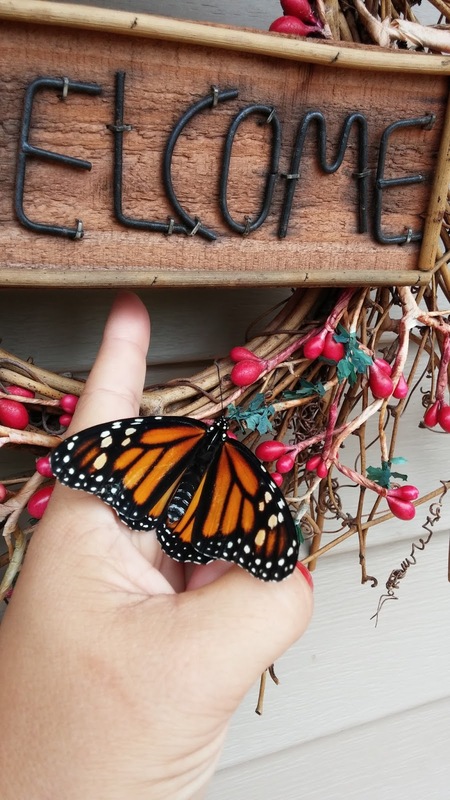 I love getting the kids outside with me, and into the nature. I hope they will remember these days forever...I know I cherish them! We find so many fun and interesting creatures! 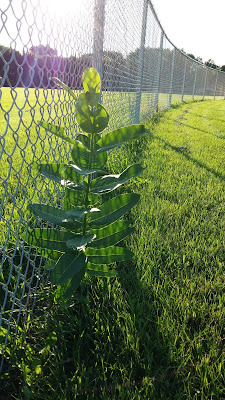 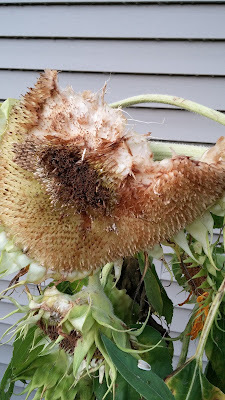 And some, while they might be fun to see...make me downright angry when they demolish some of our favorite plants!